One Summer Can Change Everything in 'Stranger Things 3' Trailer - Horror News Network - The Horror News You Need! While the official plot is still under wraps, the near three-minute trailer gives us a fair share of what we can expect from the Emmy-nominated series in its junior season. 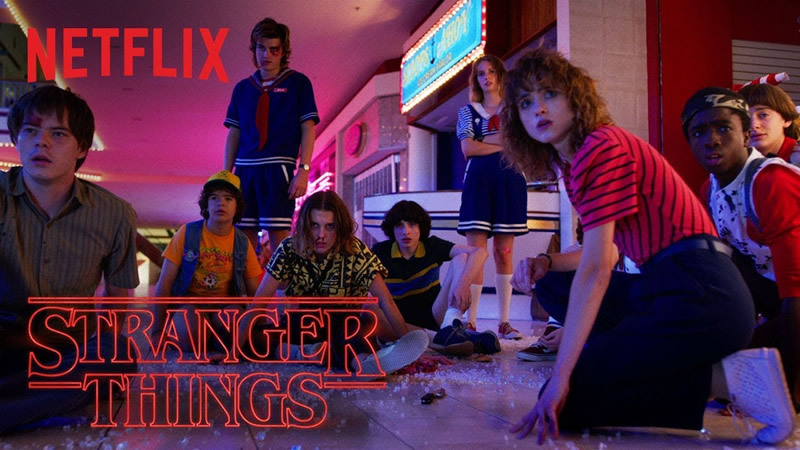 Directed by the Duffer brothers, Stranger Things 3 stars David Harbour, Millie Bobby Brown, Winona Ryder, Natalia Dyer, Cary Elwes, Dacre Montgomery, Finn Wolfhard, Gaten Matarazzo, Sadie Sink, Joe Keery, Charlie Heaton, Caleb McLaughlin and Noah Schnapp. Get your hot dogs and fireworks ready as Stranger Things 3 is slated to premiere July 4 on Netflix. Check out the official trailer below and keep it locked to Horror News Network for the latest news on Stranger Things 3.